About 10 per cent of competitors in the Yukon Arctic Ultra have dropped out, which is normal for this annual test of endurance. Reporter Philippe Morin met some racers as they thawed their gear and ate voraciously at Braeburn Lodge. Eighteen competitors have now scratched from the Yukon Arctic Ultra. Some racers went voluntarily as a preventative measure or due to technical issues, while others have seen their race end due to injury. At least 85 had registered for the multi-stage race, with 76 making it to the starting line. On Feb. 5 the race passed by the Braeburn Lodge. The small restaurant, hotel and gas station is accessible by the Klondike Highway. It serves as a checkpoint and provides racers with a chance to heat up and recuperate after two days of racing. Gareth Hardcastle from the U.K. is still in the race. 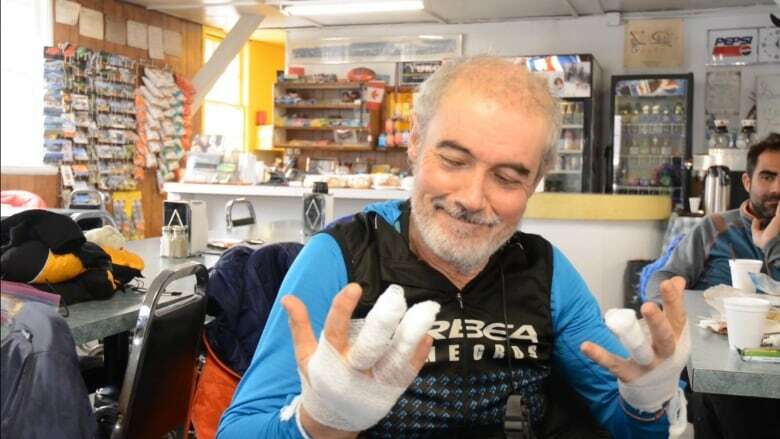 On Feb. 6 he said he was in good spirits as he dried out his gear by a wood stove. 'It was a bit of a cold night last night, so I am quite happy to be here," Hardcastle said while eating a cinnamon bun the size of a dinner plate. Hardcastle said snow conditions have proved challenging with racers' gear and clothing getting wet. 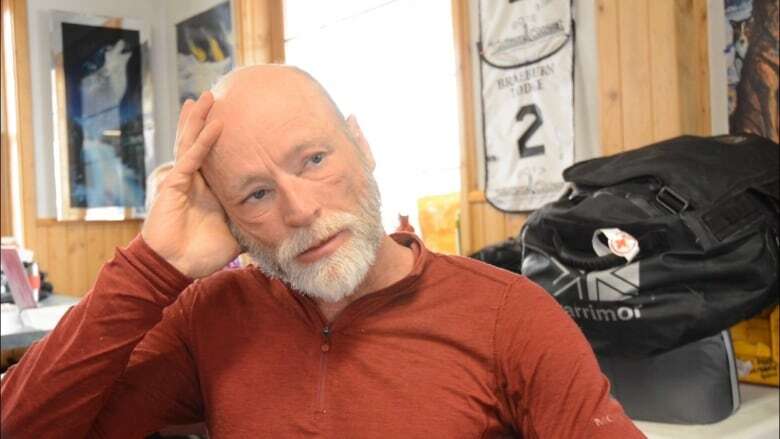 "The skiers I'm sure are quite happy about it, but keeping things dry in that environment and trying to bivvy [sleep outside under light shelter] is a bit of a challenge," he said. The Braeburn Lodge marks about a third of the way to Pelly Crossing. Some racers will end there while others will continue on toward Dawson City. Hardcastle said his strategy is to keep moving without being in a hurry. "I'm not really in the racing mode. I'm just here to see it and enjoy it and the race is away to do it in the safest possible way you can, with checkpoints and people tracking where you are," he said. Other competitors haven't fared so well. When Juan Carlos Najera entered the lodge on Feb. 5 he showed his hands to medical staff. Frostbite had developed on some fingers, causing swelling and blisters to form. Najera's hands were bandaged and learned his racer was over. He accepted this with a shrug and a smile. "I feel good. I just want to be careful. Right now it's not a problem but if I go ahead, probably I would have a problem later," he said. This year, competitor Tiberiu Useriu from Romania was brought to Whitehorse General Hospital due to frostbite on his toes. This is despite having experience in the cold. He has competed previous Arctic ultra races including the 6633 Ultra which happens even further north than the Yukon Arctic Ultra. While some celebrate at Braeburn Lodge others are disappointed. Dr. Russ Reinbolt ended his race on Feb. 5 after becoming cold and disoriented. He says recognizing his own mental confusion was a sign to press the emergency button on his SPOT emergency beacon. "Physically I'm fine but mentally I'm broken. I am just crushed," he said. Reinbolt is an emergency room doctor and said one concern was preserving dexterity in his fingers. While he could have pushed further he recognized the importance of safety and prevention. "I promised a lot of people that I would make good decisions, that I was not going to put myself into a bad position. And I kept my vow," he said.